Edward Hyde, Deputy Governor and Governor of Carolina Province, was born in England about 1650 and died in North Carolina, 8 September, 1712. From 1706 till 1710, the colony of North Carolina was in a state of confusion from the conflicting claims of Anglicans and Quakers, each party having its governor and its Executive Council. To restore order, Edward Hyde was dispatched in 1710 as Deputy Governor of the province, but he was to receive his commission from the governor in Charles Town, Edward Tynte, who had died before he arrived, and he had no evidence of his right except private letters from the Lords Proprietors. From the summer of 1710 until May 9, 1712, Edward Hyde led as President of the Executive Council. On May 9, 1712, he received his official commission from the Lords Proprietors, dated January 24, 1711/12, and he took the oath of office on this date as the first "full" Governor of the colony of North Carolina, no longer subservient to the governor in South Carolina. The legislature that he convened made severe enactments, which were condemned even by its friends, and which it had no power to enforce. 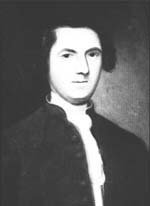 Thomas Cary, the claimant of the Quaker party, and his friends, now took up arms. Fortifying his house against a possible attack, Cary armed two vessels, filled them with soldiers, and attempted to land in Chowan sound, where Hyde and his Executive Council were assembled nearby. President Hyde called in the aid of Governor Alexander Spotswood, of Virginia, who sent a party of marines from the guard-ships, restored quiet, and expelled Thomas Cary - who was later acquitted by the Lords Propretors in London. In September of 1711, the Tuscarora indians, taking advantage of the dissensions among the colonists, massacred 120 white settlers along Roanoke, Neuse, and Pamlico rivers. President Hyde called out the militia, and with a force of South Carolinians and several hundred friendly Yamassee Indians, attacked the Tuscaroras near New Bern on 3 January, 1712, and defeated them with great slaughter. Hostilities continued during the remainder of the winter and spring. Edward Hyde died in a Yellow Fever epidemic on September 8, 1712. In the summer of 1710, Edward Hyde arrived in North Carolina as the Deputy of Governor Edward Tynte of the southern province. But the sudden death of the latter had made it impossible for Hyde to procure his commission, and therefore he had to refer for proof of his claims to statements in private letters that he had with him upon his arrival. But these were convincing; President William Glover at once retired in his favor; Governor Alexander Spotswood of Virginia recognized him, and most of the wealthier inhabitants of North Carolina submitted to his government. Thomas Cary did this at first, but later put himself again at the head of a factious opposition. Edward Hyde called his Executive Council, opened the courts which had been closed during the recent disturbances, and in the summer of 1711 summoned a General Assembly. He was thus organizing what proved in the end to be a legal government, but he was forced to wait nearly a year and a half for his commission as Governor from the Lords Proprietors, and did not take the oaths of office until May 9, 1712. The General Assembly, which had been elected under influences favorable to the establishment, passed Acts requiring that the oaths should be administered and lawful government maintained. It also provided for the recovery of the rents and fees which Thomas Cary had collected and of the deeds of land to the Swiss Palatines, which were in his possession. All of Thomas Cary's Acts were declared illegal and void, and he, with John Porter, was ordered to be taken into custody. But President Edward Hyde was unable either to execute the laws or to bring the prisoners to trial. Thomas Cary soon escaped, declared himself President, and prepared with a brigantine and a force of men to attack President Edward Hyde. In this move, which was essentially warlike in its character, Thomas Cary probably had the assistance of only a few of the Quakers. President Hyde and his Executive Council retired to a place of safety and sent an urgent message to Virginia for aid. Governor Alexander Spotswood and his Council resolved at first to try mediation. Therefore they sent John Clayton with two letters to Thomas Cary, one conciliatory in tone, and the other to be delivered only in case he should persist in his rebellion, declaring the purpose of the Virginia government to support President Edward Hyde. At first Thomas Cary expressed his willingness to confer with his opponent and even named a place. But soon after, whether from fear of foul play or not, he changed his mind, and advanced again to attack the governor. Clayton now returned to Virginia bearing a request for armed assistance. Gov. Spotswood ordered out the militia of the southern counties and sent a body of marines from a guardship into Carolina. But before they reached the Chowan River, Thomas Cary abandoned forcible resistance and with a few of his associates retired into the Tuscarora country, whence they soon passed into Virginia. There they declared their purpose of going to England to justify their conduct before the Lords Proprietors. Gov. Spotswood, as soon as he ascertained by examining them that their only desire was a fair trial, hastened their departure, with such information as he could give about the uprising. Sometime later a preliminary complaint was sent over by President Edward Hyde and his Executive Council, who in the meantime had resumed the unobstructed administration of government of North Carolina. In November of 1711, Thomas Cary was granted two hearings by the Lords Proprietors, and replied in person and in writing to President Edward Hyde's accusations. But the board of Lords Proprietors was weaker and more indifferent than it had been at the time of the previous rebellion. The pressure to which it, in connection with all the other colonial proprietors, was being subjected by Crown and Parliament, reduced the board to impotence in the face of internal disorder. It was content to let disturbances end as they might and with as little offense as possible. Sorrow was expressed that President Edward Hyde had been compelled to resort to force to uphold his government. He was instructed to have Thomas Cary's accounts with the Lords Proprietors audited; also to make all possible reparation to those who had suffered injury. A full account of the disturbances should be submitted, so that, if the Queen should require an answer, it might be given in satisfactory form. Beyond this no action seems to have been taken. On December 7, 1710, the Lords Proprietors met and agreed that North Carolina and South Carolina should have separate governors and separate governments, which was only a formalization of what had been the case since the province was first settled in 1663. Click Here to read the brief record of this meeting. On July 12, 1711, the Board of Trade sent a letter to Queen Anne presenting the Lords Proprietors' plan for North Carolina to have its own separate governor, and their recommendation that Edward Hyde be approved as that first governor. Click Here to read the Board of Trade's letter to the Queen, and the accompanying letter from the Lords Proprietors to Queen Anne. On July 30, 1711, the Crown approved Edward Hyde as the first governor of North Carolina, provided that he gives £1,000 as security. Click Here to read the Privy Council's letter on Queen Anne's approval and security requirement. On January 24, 1711/12, the Lords Proprietors issued a commission and separate instructions to Governor Edward Hyde. For this appointment, the Lords Proprietors actively sought and obtained approval from the Crown to make Edward Hyde the first full governor over North Carolina. It was with this appointment that the Lords Proprietors and the Crown formally recognized that there were two separate provinces and the "Split" was now official. Hyde received his commission and instructions in early May and took the oaths of office on May 9, 1712 at his home in Chowan Precinct. Click Here to read the Instructions provided by the Lords Proprietors to Governor Edward Hyde. Click Here for the available information on the Executive Council under President and Governor Edward Hyde.